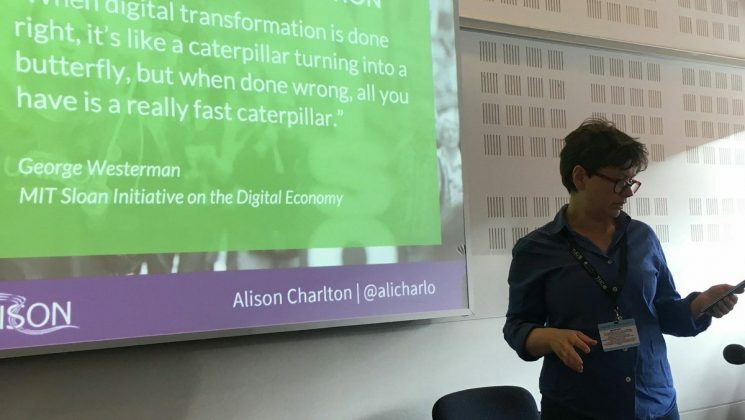 The key word in digital transformation is not the word ‘digital’, it’s that word transformation. And it’s us, as unions, that need to transform, or change. Technology is not that hard to find and implement, but if we don’t analyse and change what we’re doing – you may as well put a jet engine on a Fiat Punto. It’s not building an app that replicates your traditional website, or digitising your member magazine. Or emailing everyone on your list in under an hour. It means stripping right back to look at what trade unions look like in the 21st century, and asking what does belonging to a trade union mean? It’s as much a management or cultural challenge for unions, especially large unions like ours, as it is a technological one. This year we are celebrating 150 years of the TUC, but a lot has changed since we organised in factories and mills, in town halls and hospitals. Many workers now hardly see their employer’s workplace. They are working in other people’s homes, their base is their car. Their shift patterns are irregular and flexible – or even precarious. Many may not even see their fellow workers. They may get their work schedules and submit their hours using just their phone. As work patterns have changed, unions also have to change. If we’re going to organise and support the workers of the future, we have to follow the patterns our members are working and use the technology they and their employers are using. And it’s the members needs, not the technology that is driving change. When we test a digital solution we don’t have lists of technical specifications that get converted into some huge IT project. We try stuff, test it in pilot projects or short bursts or sprints – and we make sure we assess it. If it works – great – we try and develop it, if it doesn’t we can learn and move on. With help from The Shop, we’re learning how to test ideas before we commit time and money. Working with organisers, activists and members and asking ‘What winds you up? What stops you doing what you need to do?’ means tangible results in a short space of time. This help us to engage people to work with us on more things. By focusing on outcomes you can build that confidence in others to work with you. Although we had a functioning join online system set up by the union’s IT department, it had been left untouched for years. Here’s something that may be familiar to you in your own union or organisation. Often digital is seen as a function of IT – because it involves digital tools and systems – so it’s seen as ‘tech’. Whereas, as we all know, digital tools are just a medium – the purpose is what it has always been – organising and engagement. 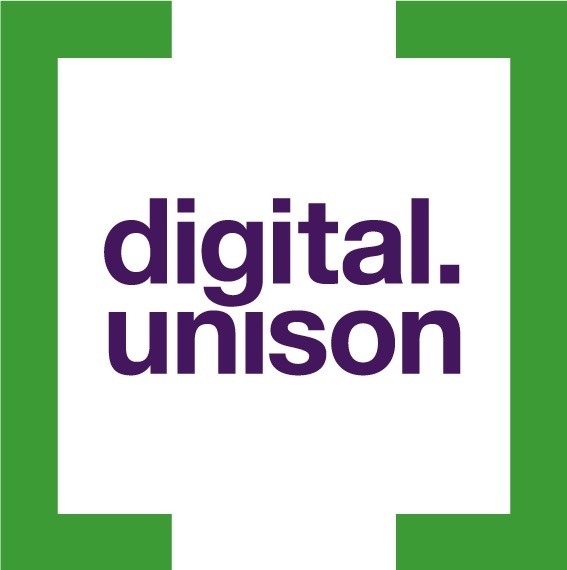 So our aim is to put our members, not the technology at the heart of our digital strategy. Just from looking at the first few weeks of data and new joiner feedback, testing, and simplifying – we have reduced the journey time and already significantly improved conversion rates and opt-in to both the political fund and consents. You can find out more about the project from us in October when we’re hoping to present full results at TUC at Congress House. We’re just about to start a new recruitment campaign where we will be extending our testing and iteration programme throughout the joining experience – from first contact to the welcome journey. We’re using Google Experiments, our CRM and email marketing – as well as co-ordinating with branch and organiser activity on the ground. So for example, where we have a region doing say a recruitment drive on care workers, we’ll target our social ads and tailor landing pages, regionalise our press work and campaigns and work with our organisers to test and see what works. The join online project is just one example of the type of member-focused, data-driven products we’re trying out in our digital strategy. We are in a constant process of getting feedback from members, organisers, branches and regions to innovate, develop and test new solutions. And we still struggle with it. We have failures as well as successes. Things we think will work really well, just not getting buy-in. But because we try to develop quickly in chunks, we’re not investing heaps of money and resources in any one sprint. And we learn a lot from the failures too! Then there is always the issue once a sprint has been successful – how do you incorporate it into business as usual? Branches have pretty much been left to find their own digital solutions such as websites. We are hoping to have 10% of branches on the platform by the end of this year. Rolling it out to up to a quarter of branches next year. Branches have welcomed a robust and futureproof integrated and supported system. And have enjoyed the training days and the chance to chat on Slack about new developments. Our organisers and reps are having thousands of conversations with members every day. Then there are the thousands of daily interactions with our members through our call centre, social media, email networks – any number of communication or engagement channels. Our digital strategy is about taking all that feedback and data and turning it into more productive conversations and engagement. Conversations that lead to activism, and collective action, to achieve real change. We ask: what tools can we provide to drive activity? What can we do to amplify and enable collective action? How can we empower our members and grow the strength of the union?